As Mississippi lawmakers decide how to divvy-up dollars for state agencies there are some signs the state may be turning a corner on tax revenue. Mississippi sales, income and corporate tax collections increased over the past two months. State department of revenue commissioner Herb Frierson says he's optimistic they'll meet the $5.6 billion dollar estimate for the general fund this year. "That means we get out of this fiscal year without having to make any cuts. 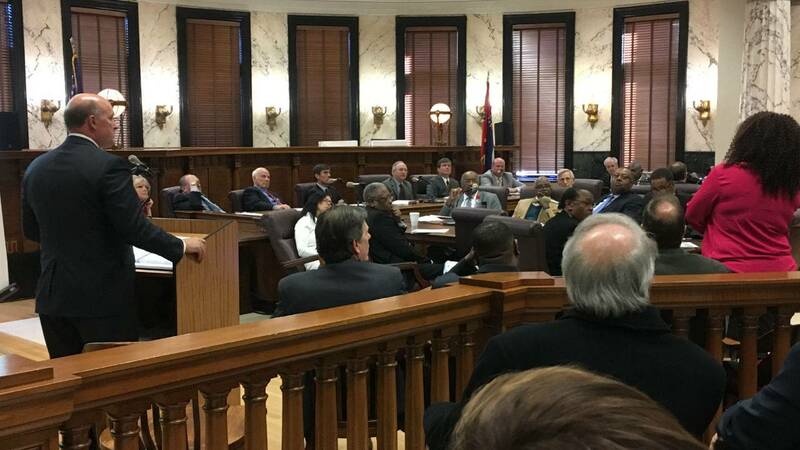 If we exceed estimate that would be additional dollars for the legislature to appropriate," said Frierson. Republican Senator Buck Clarke of Hollandale chairs the appropriations committee. He says the state's low 4.8 percent unemployment rate is also generating more revenue. "More people are receiving paychecks. I know the withholding tax numbers have been very strong. That's money into consumers pockets which then drives sales tax," said Clarke. Clarke doesn't think state agencies will see mid-year cuts for 2018. Democratic Senator David Blount of Jackson says it's too soon to tell if the up-tick in tax revenue will continue. His approach--proceed with caution. "We really need to look at that again in late March to have the most information possible to make the best decisions." said Blount. Senator Clarke and Frierson agree. Funding for fiscal year 2019 will stay the same for most agencies including allocations for education and Child Protection Services which are $2.2 billion and $98 million respectively. The Legislative Budget Office's recommendations de-funds most state agency positions that have been vacant for six months. The budget office does provide more money for the department of public safety to pay new trooper salaries and approved pay increases.